A concussion is a brain injury. That’s exactly what health officials want all of us to understand. From infants to young adults to seniors, anyone who appears to have sustained a concussion is advised to be medically evaluated and monitored, to ensure the normal functioning of the brain. According to the Centers for Disease Control and Prevention, a lack of proper diagnosis and management of concussion can result in serious long-term consequences, not the least of which is the risk of coma or death. While signs and symptoms of concussion can be noticeable immediately, they sometimes can take days or even weeks before they appear. “It is important to understand that every concussion, no matter how mild, injures your brain,” said H. Warren Goldman, M.D., Ph.D., Director of the Cooper Neurological Institute and Chief of the Department of Neurosurgery at Cooper. A concussion is a mild, traumatic brain injury – a disturbance of function of the nerve cells in the brain – caused by a bump, blow or jolt to the head, or from a blow to the body that causes the head to move rapidly back and forth. Concussions range in severity, but they all share one common factor: They temporarily interfere with the way the brain works. They can affect memory, judgment, reflexes, speech, balance, coordination and behavior. Concussions can occur without loss of consciousness. In fact, most people who get a concussion never lose consciousness. Because signs and symptoms can be subtle, many people may have suffered a concussion and never realized it. Symptoms don’t always occur right away. Initial symptoms can include headache, dizziness, sensitivity to light or noise, vomiting, vision changes, disorientation and nausea. Later symptoms can include fatigue, concentration or memory problems, sleep disturbances, irritability, sluggishness and personality changes. Fortunately, most concussions are mild and people usually recover fully. Complete mental and physical rest is required for the brain to heal. This often can take several days or longer. But serious complications can arise in some cases, so any trauma to the head, face or neck should be watched carefully. For the past four years, Cooper University Hospital has provided concussion services through the sports medicine program of the Cooper Bone & Joint Institute (CB&JI). 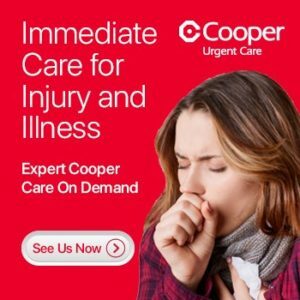 Now, in conjunction with the Cooper Neurological Institute (CNI), Cooper is expanding the concussion program. Cooper’s new, comprehensive Concussion & Traumatic Brain Injury Program offers a multidisciplinary approach to the evaluation, diagnosis and management of brain injuries and trauma. The program is the only one of its kind in South Jersey to involve a full complement of highly skilled and experienced Cooper University Hospital adult and pediatric medical and surgical specialists, including emergency medicine and trauma physicians, neurologists, neurosurgeons, orthopaedists, orthopaedic surgeons, sports medicine physicians, neuro-psychologists and physiatrists. The goal of the program is to ensure that adults, adolescents and children are thoroughly evaluated, properly diagnosed and treated, and monitored for safe return to sports and activities. Under the CB&JI and CNI’s expanded Concussion Program, patients who suffer a head injury often receive a computerized brain-function test to measure brain processing, speed, memory and visual motor skills. The test, called ImPACT (Immediate Post-Concussion Assessment and Cognitive Testing), is used by many professional, national, collegiate, and high school sports teams to aid physicians in identifying the effects of concussion and determine the severity of injury. 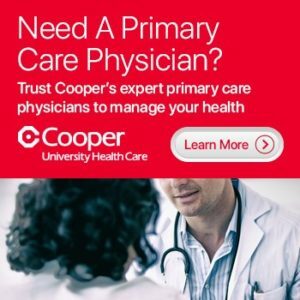 (Cooper University Hospital has been a Credentialed ImPACT Consultant for several years.) The test results, which will be shared as necessary with physicians throughout the Cooper Health System as part of a patient’s health record, serve as a measure of brain function, against which future tests can be compared and a patient’s brain health can be monitored. These scores are often instrumental in assisting the physician in determining when a patient can return to sports or other activities. The expanded services being offered by the CNI in Camden will be available by summer 2010. The leading Sports Medicine Concussion Program in the tri-state area will continue to be offered by CB&JI. Services, including clinical evaluation by Cooper’s Sports Concussion Specialists and ImPACT testing, are available at the Voorhees office. Call 1-800-8-COOPER for further information.